I often have friends send me links to great kid food ideas, here’s one of them! 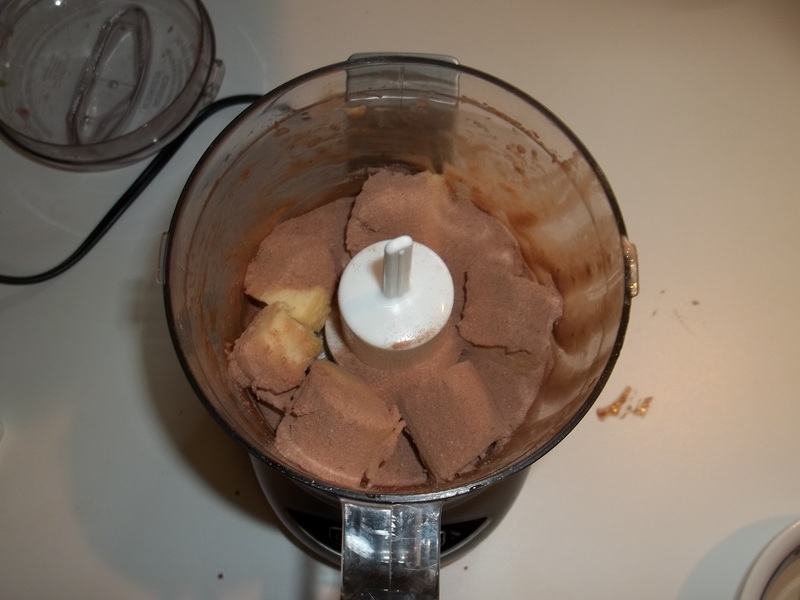 Freeze a banana, then combine with 2 tbsp cocoa powder and blend until smooth and creamy. Dairy-free, 110 calories. 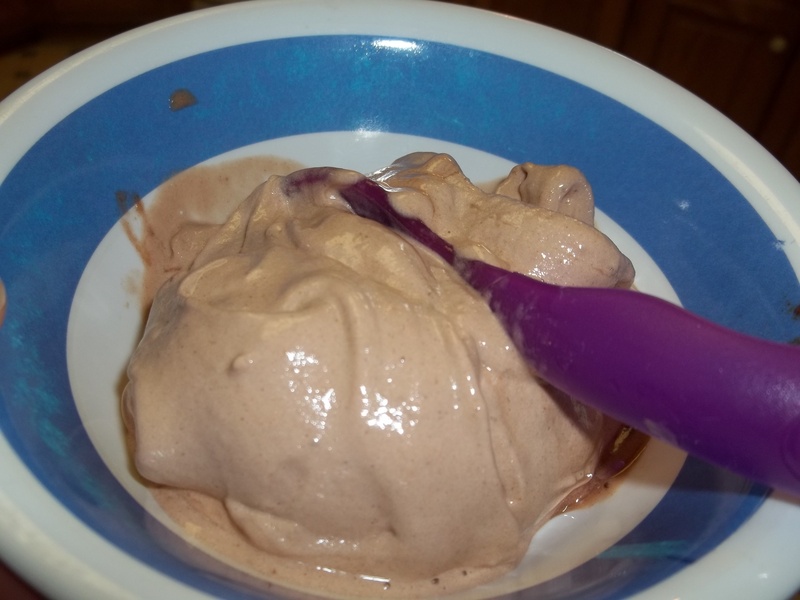 I used bananas I had frozen for weeks. I made two batches for two boys, that’s why two bananas. 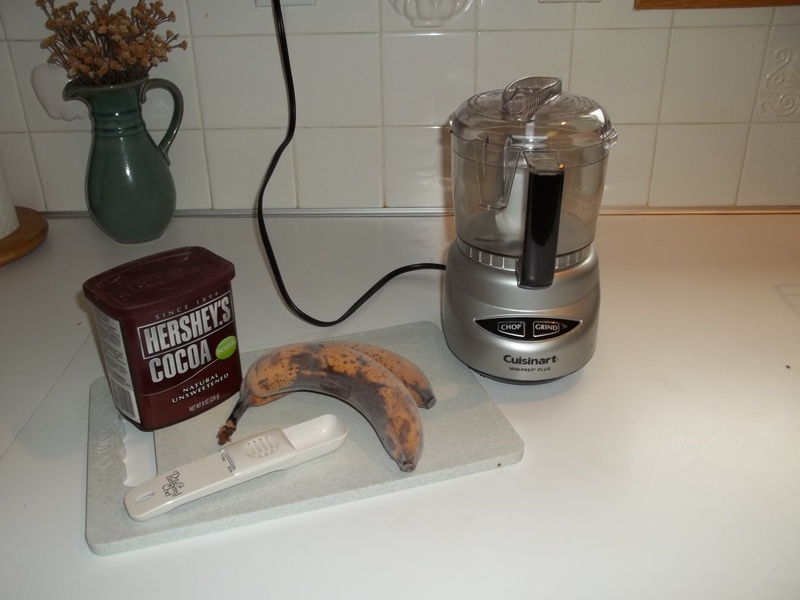 Cut up banana and put in food processor with cocoa. At the last minute I swapped out the cocoa for carnation instant breakfast to get some extra good stuff into their bodies. I thought this was the best stuff ever. The boys didn’t care for it so much. So I dumped it in a cup and added milk. They drank it right now. Whatever works I guess.